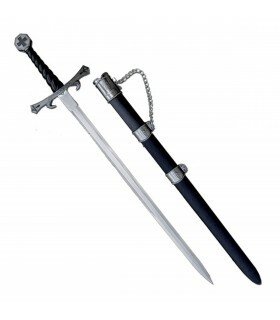 Weapons There are 1374 products. Bo-Kun - Very sturdy wooden staff, about 1.80 meters long and 2.5 to 3 cm in diameter. This item was used by fishermen and villagers to transport items and goods. 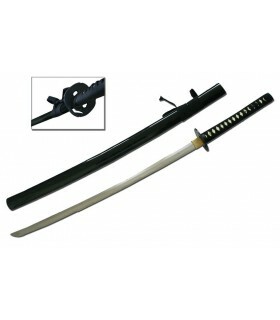 Bokken - the bokken is a type of wooden katana. 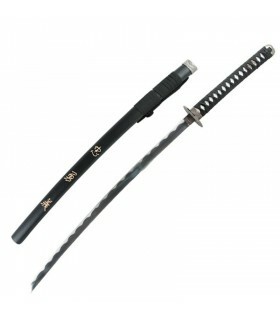 It became popular in the Muromachi period (1936/1600AD) when different Ryu schools began to teach the art of Kenjutsu. Eku - Comprises, on one end, a flat blade and an angled side of the other, sharpened at its end, while wooden sides possess a certain edge. It was used by fishermen as rowing and became weapon. 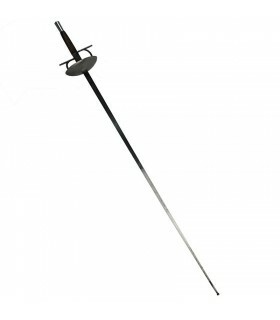 Hanbo - is a 90cm long staff and used with one hand or two, interchangeably. Similar movements are performed with Jo and Atemi, Kansetsu, Dome o Jime. Jo - Wooden staff shorter than the Bo-Kun and longer than the Hambo. 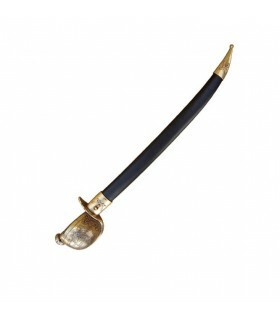 Kama - is a long-handled sickle used to harvest grain. The difference with Western sickle is the curvature of kama, which starts at the handle. 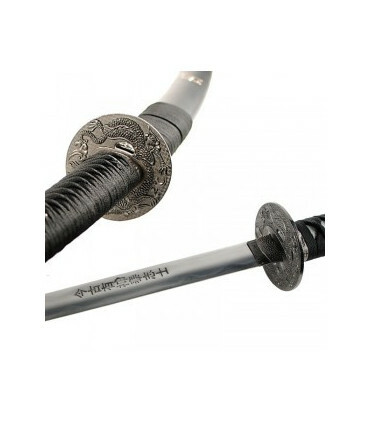 Naginata - The naginata is a weapon used by the samurai of feudal Japan, consisting of a blade stuck on a long pole. 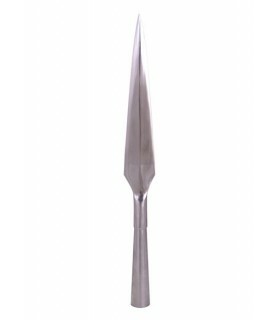 It resembles a European halberd, but only with a curved blade and a Gumia placed at its end. Nunchaku - This weapon is basically formed by two very short staffs between 30 and 60 cm joined at their ends by a rope. It is a very versatile weapon that adapts to situations against one or more attackers in short or long distances in defense or attack, developing a great hitting power. 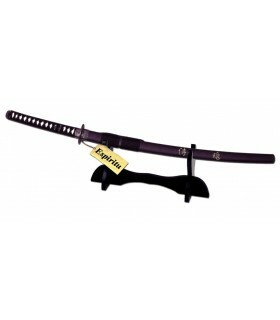 Katana - The katana is a single-edged sword, curved, traditionally used by the samurai. The most common size is around a meter in length and one kilo weight. 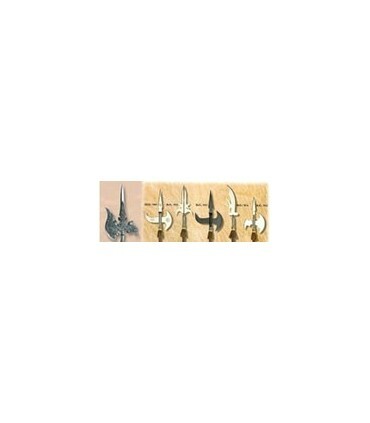 Sai - The Sai is a blunt knife but with a sharp point and with two long side guards, tsuba, also pointed, attached to the handle. 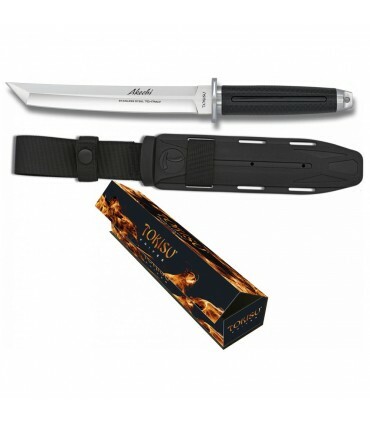 Tanto - The Tanto was a traditionally made sword worn by the Samurai of the feudal class. Tanbo - The tambo is short hardwood staff that is used in the same way as the approximately 90cm long hanbo. Tonfa - Also known as Tuifa, it consists of a stick with a perpendicular handle attached a third of the way down the length of the stick. Yubibo - A 13-15 cm staff, with two holes that divide it into three sections called Kontei at the poles and Chukon bu in the middle between the two holes. 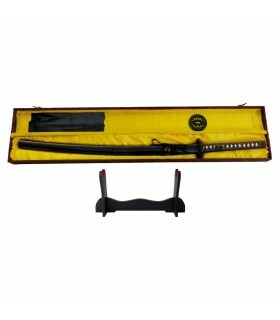 Wakizashi - The wakizashi is a traditional Japanese short sword, with a length of between 30 and 60 cms. 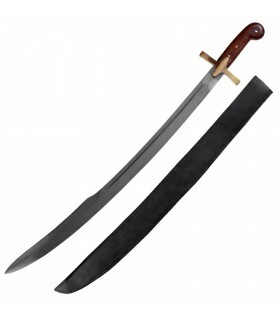 Swords, knives and other traditional and modern Chinese as Tang jian, Qi Tao Jian or Hiryuu from traditional Chinese martial arts like Kung Fu. We could establish a classification by type and use as handguns, rifles, double weapons, flexible weapons, hidden weapons and throwing weapons. Some Chinese weapons are: Bart Jarm Do, Long Cane (gun shu), 3 Section Cane (sān jié gùn), 2 Section Cane (èr jié gùn), knives, curve or straight swords, hooks, axes, Kwan Tao, spears (quian shu), 9 Section Whip, Luk Dim Boon Kwun, Shéng Biāo (Rope with Dart), Yue Ya Chan (Monk Shovel). The axe is now a tool but over time has had the consideration of weapon. 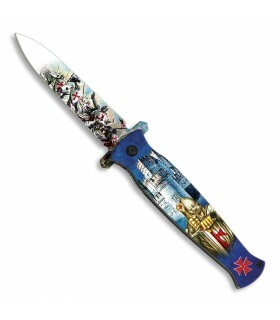 It has a blade of metal that is fixed securely to a handle. 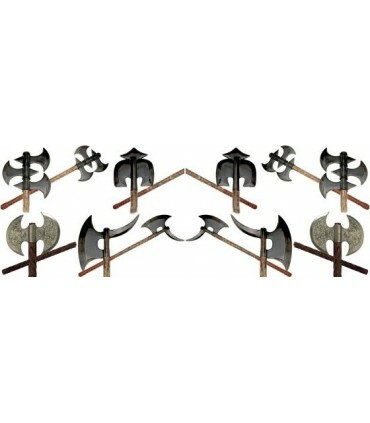 The typical use for the axes is cutting firewood and felling trees, but in the past were used as weapons for hunting and war, especially by the vikings, normans, amerindian, british, French, etc., The majority of the axes in the following list are decorative, even though they are made of alloys of steel sheets. 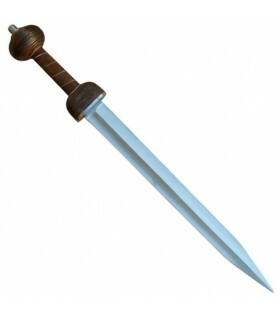 The spear was a type of weapon used in the Middle Ages for its easy handling and simple manufacturing. The large bodies of spearmen, whether they were on foot or horseback, were very effective, armed with these spears that came out quite economic in the medieval battles. 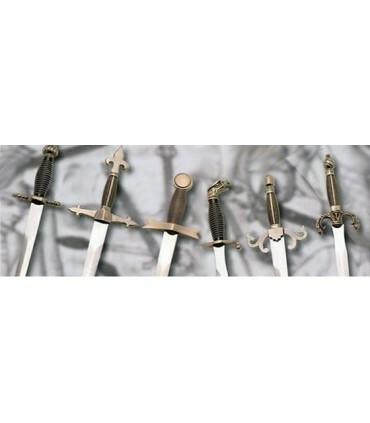 The variants most advanced of the infantry formations medieval had spears, which adicionaban knife, axe, hammer, or pick. 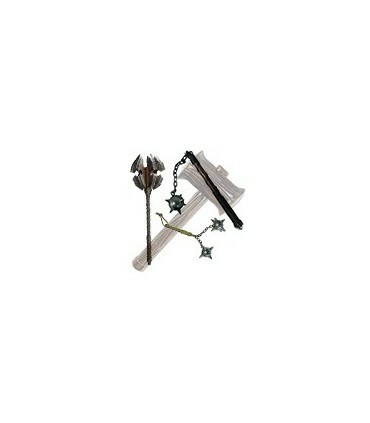 A variant of the spear is the halberd. It is a weapon enastada of shaft of wood about two meters in length and has a spear tip as a bib upper, a blade transverse leaf-shaped axe on one side, and another breastplate of punctured or to engage more small by its opposite. The horses were reluctant to charge against an army disciplined of men armed with long spears extended, as that is repressed to a dense formation of warriors with long spears raised, which also formed a strong protection against the arrows thrown. 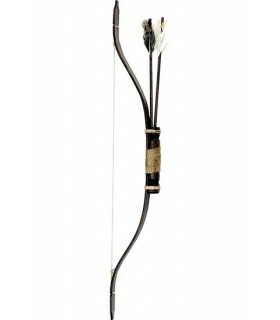 Replicas of vintage bows for recreationists. 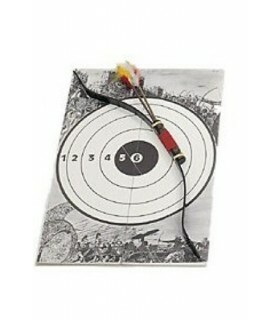 They are not functional by not having shooting accuracy and be prepared for it. 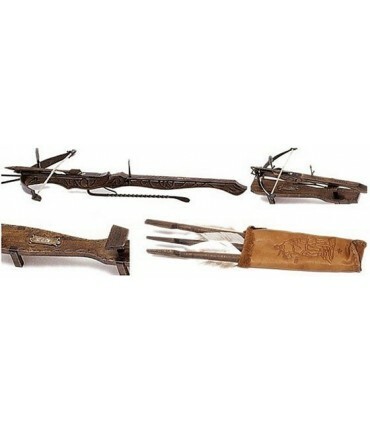 Medieval crossbows for decorative use and recreationists. They are pieces of ornament and collection and therefore require no license to carry. In the Medieval Ages, the crossbow was a weapon that propelled arrows whose operation consisted of a bow mounted on a straight base. 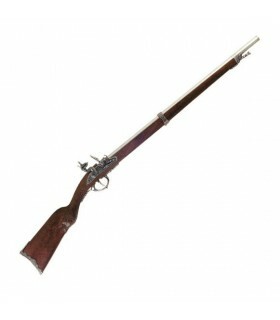 Unlike the bow, its use did not require much skill and was more functional as it could be fired on horseback, standing or dragged on the ground. Obviously it was not all advantages and slow loading of the arrows was its weak point. 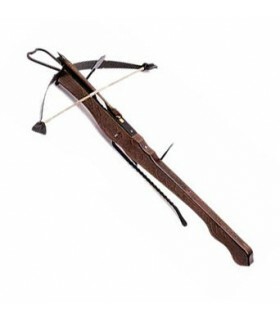 The crossbow began to be used on a massive scale on the Xth century and revolutionized warfare tactics as it opened a new world strategy to be a weapon of precision shooting at distance. 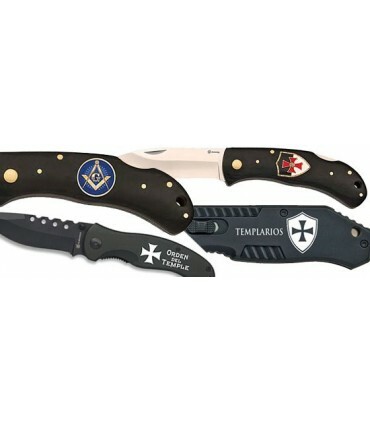 Pocket knives with medieval motifs. The clubs were initially a simple pole or stick with shorter end which constituted the rock engastaba the heavy and forceful. 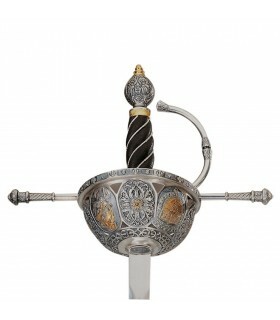 Over the centuries evolved into the typical all-metal weapons. In the Middle Ages, the clubs, the riders wielding. Then, over time, became symbols of power used by the military orders and the ecclesiastical hierarchy. 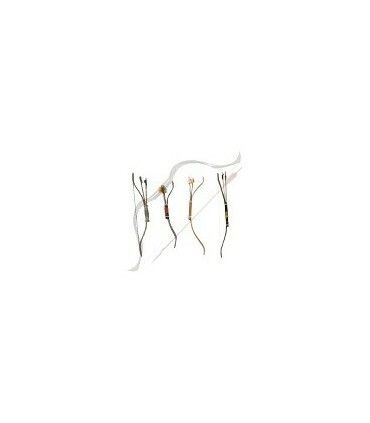 DECORATIVE Ballesta ideal for recreationists. It is not functional. The crossbow is a weapon that began to be used massively in the tenth century, with the development and refinement of the bow and arrow. Primitive wooden arch was replaced by a version with a powerful metal arc formed by one or more metal rods together called arbalest. 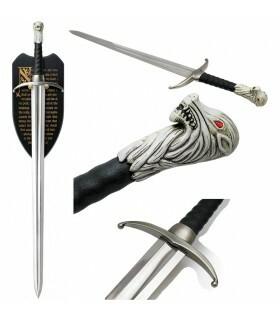 Jon Snow Longclaw Sword of Game of Thrones®. Official Product. The authentic, the original. 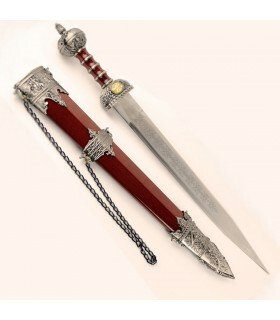 With stainless steel blade and genuine leather grip with Antiqued wolf knob. Includes wooden plaque serigraphed with the Oath of the Night clock. 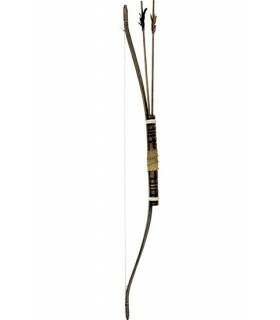 Arco medieval great for recreationists, 130 cms. Weight 350 gr. It is not functional. 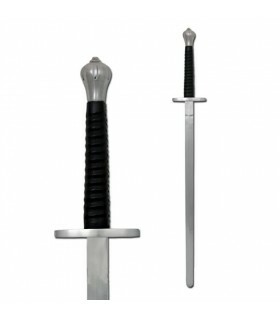 Roman Gladius sword with stainless steel blade 440. It is decorative. Sheath has a small chain to adjust the belt. 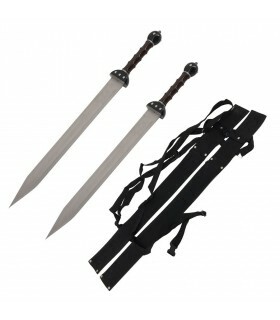 The Gladius Sword of ancient Rome is white double-edged sword used by Roman legions. 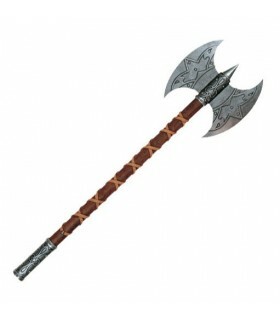 Valkyrie ax wood and zamak braided ornament. 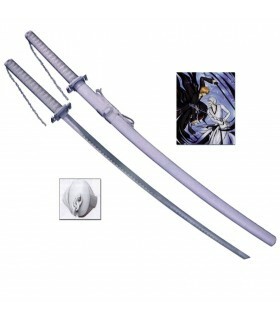 Katana Zanpakuto Hollow Ichigo belongs to the anime series Bleach. 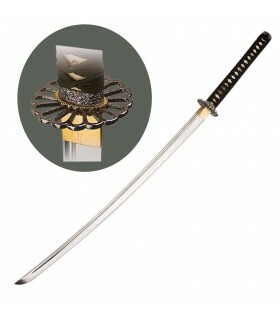 The katana blade is made of stainless steel. 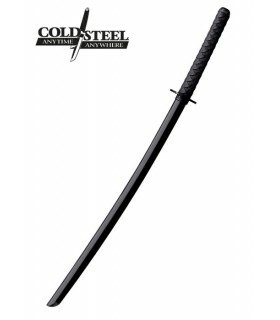 and the length of the katana is 113 cms. It includes sheath white lacquered. 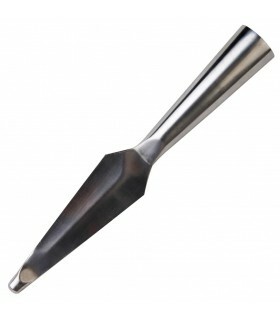 Spearhead made by hand forged carbon steel. 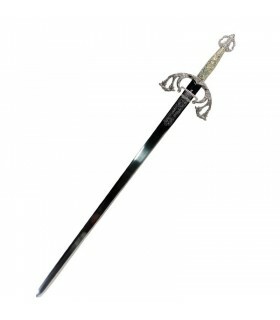 Functional one-handed medieval sword with carbon steel blade of hardness 52 RCK. Manufactured in Toledo, Spain. Includes wooden pod. 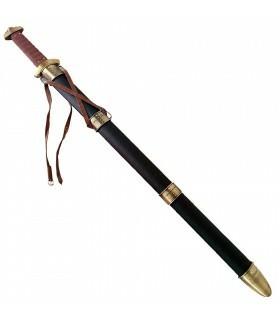 Sable pirate Barbarossa, sixteenth century sheathed in leather, brass-coated finishes. Children arc small wood. Measure 65 cm. Weight 130 gr. It is not functional. 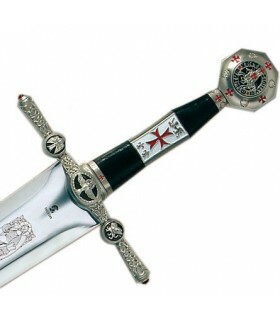 Knight Templar Knives with assisted opening system. 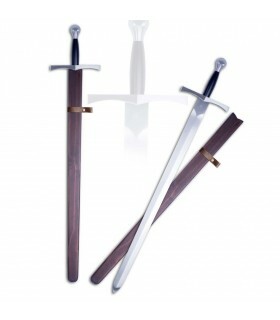 Stainless steel blade and aluminum handle. Rustic Spanish Foil, Tempered steel, polished, flat sheet of old fencing. The foil is a long, flexible blade. Available in various sizes. 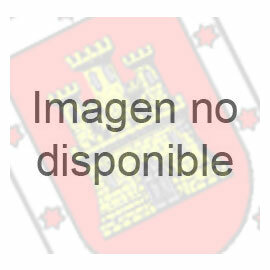 Cadete.- 80 cms.Natural.- 102 cms. 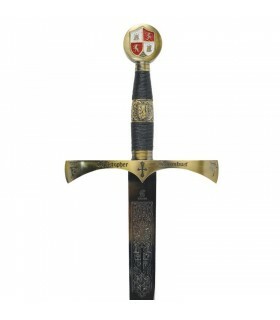 Knights of Heaven Sword. 108 cms. 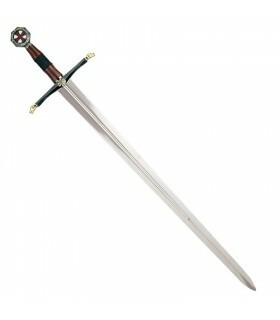 Replica Sword Knights of Heaven in size, 108 cms. long, according to the film The kingdom of heaven filmed in part at Castle Loarre (Huesca, Spain).. 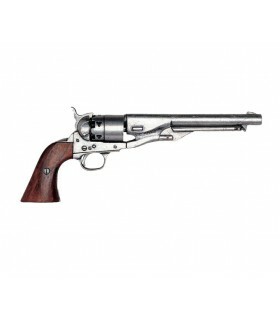 US army revolver of civil war manufactured by S. Colt, 1860. Masonic Knife, blade 7.6 cms. 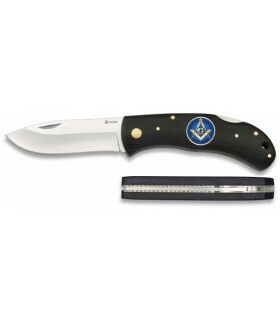 Masonic knife with stainless steel blade and wooden handle. The wooden handle bearing the crest of the Masons. Jar nineteenth century gunpowder. Measures 16 x 10 x 6 cm. Weight 300 gr. Arc target children. 65 cms long. It is not functional. 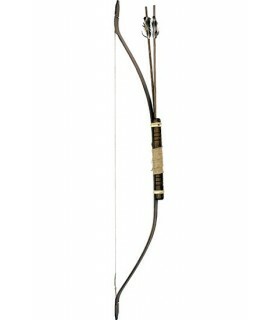 Arco medieval great for recreationists, 150 cms. Weight 610 gr. It is not functional. 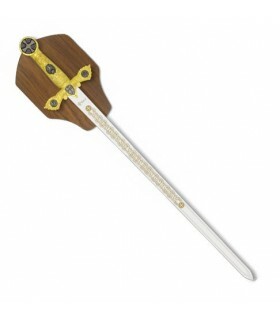 Masonic ceremonial sword with stainless steel blade and handle engraved mother of pearl. Made by José Luis Rubio swordsmither entirely in Toledo (Spain). 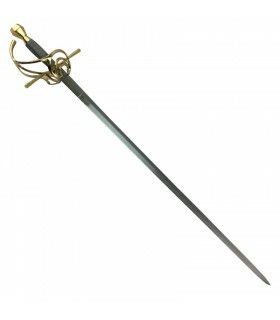 Sword Rapier typical of the seventeenth century. Made of carbon steel sheet. Thread grip and forearm and brassed knob. 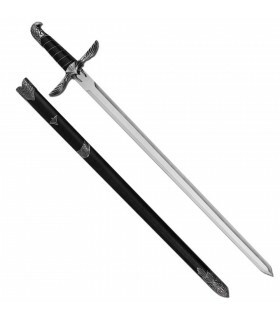 Ideal for medieval sword training (no contact). Made with carbon steel blade and full tang and blunt. The knob is double bolted. Grip covered in leather. 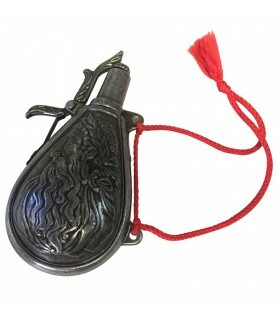 Turkish scimitar curve sheath. 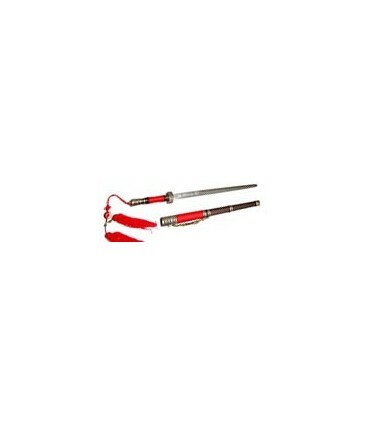 Made of carbon steel sheet EN45 spring and wooden handle. 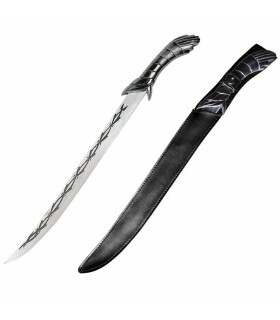 It includes leather sheath. 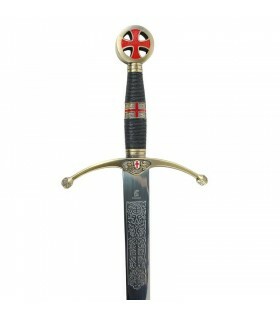 Used in the wars of Saracens and Christians.